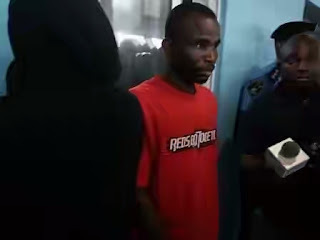 A 47-year-old man, Moses Otimba, has been arrested by policemen from Bayelsa state for impregnating his wife’s younger sister, Joy Mathew, and killing the male child five days after birth. According to The Nations, Otimba was said to have asphyxiated the child to death and buried him in a shallow grave at a river bank. The suspect, an indigene of Ogbogoro community in Yenagoa Local Government Area of the state, reportedly executed the devilish act in connivance with the 19-year-old girl. The two suspects were paraded on Thursday by the Commissioner of Police, Bayelsa State Command, Mr. Asuquo Amba, at the command’s headquarters in Yenagoa, the state capital. Amba said policemen from Yenagoa Police Division arrested the suspects, who confessed to the murder. Otimba, in his confessional statement said he killed the baby boy because he was ashamed to tell his wife (Glory) and his mother-in-law. He admitted killing the baby with the consent of Joy, after discussing his predicament with her.